The BT-7 was one of the last cavalry tanks from the Soviet Union’s BT series of armored vehicles and saw numerous conflicts during the entirety of World War 2. This series of tanks were designed specifically for speed, forgoing heavy armor in favor of higher mobility. As such, they were one of the most mobile tanks during World War 2, reaching speeds of up to 86 km/h. 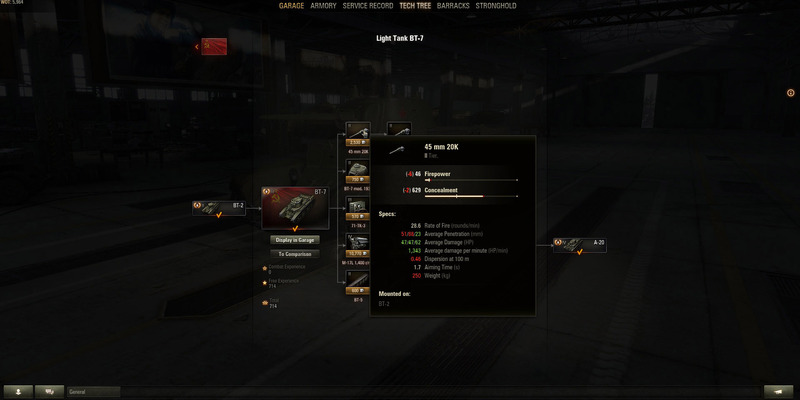 The 45 mm 20K is the stock armament for the BT-7 in World of Tanks, and can thankfully be upgraded to allow for higher damage and penetration. Despite the BT-7’s lightly armored build, the tank specifications asked for heavier guns as opposed to the standard 20K model 45 mm. This 45 mm armament comes as the stock gun for the BT-7 in World of Tanks and offers decent penetration and high damage. An upgrade is available in the form of the 37 mm ZIS-19, a gun that offers better accuracy when on the move. Thanks to the speed of the BT-7, being the first tank into the battle is a reality, allowing for easy setups and positioning early on. As a Tier 3 Light tank, the BT-7 suffers from poor armor and low HP, making it difficult to play as anything but a scout or a breakthrough tank. 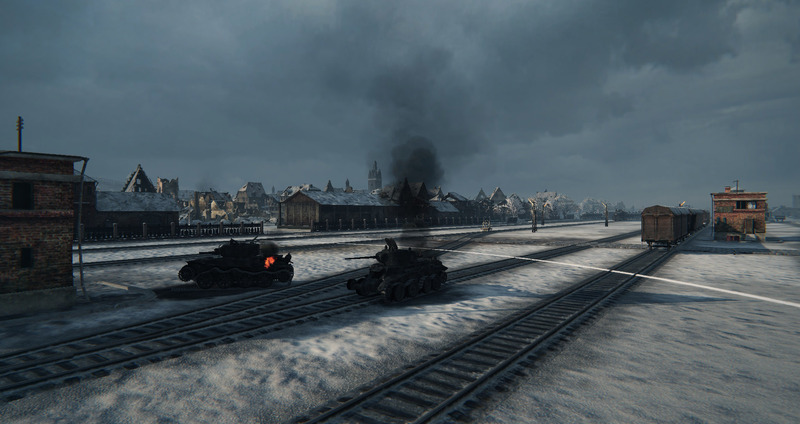 As a light tank, it can be challenging to play, but there are ways to improve at playing light tanks. Much like its real-world equivalent, the BT-7 is able to use its incredible speed to traverse the map, moving beyond the reach of the enemy and attack the flank, where, typically, the SPGs are located. It also has access to a variety of shell types, making it possible to adjust when facing enemies of varying armor values. The main design of the BT-7 was based on the American Christie tank. The original designs of the BT-7 were based on the American-built Christie tank with its new suspension system, with the first prototypes developed in 1935. These prototypes had a characteristic canted-ellipse shaped turret, which can be seen in the World of Tanks model. However, changes were made to the designs of the BT-7 to incorporate turrets from the BT-5, making the design much simpler. There were other versions of the BT-7 put into production such as the 154 BT-74, an artillery tank. This variant of the BT-7 was produced between 1936 and 1938 and were fitted with a 76 mm KT-type gun. While this version of the BT-7 isn’t currently available in World of Tanks, it was given out as a Gift to any player that logged into the game between August 12 and 19th on the NA server and the 12th to 17th of August on the ASIA and EU servers. 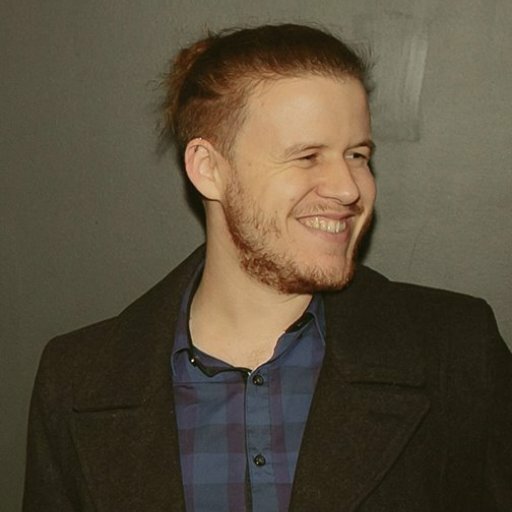 A few prototypes existed, but they never saw full production. One of the interesting prototypes was the OT-7 that came equipped with a flame-thrower as side-mounted armaments. The Soviet's saw significant losses of the BT-7, with over 2,000 units perishing during the war. As far as the combat experience of the BT-7 goes, in 1941, near the beginning of Barbarossa, the BT-7 was the Soviet army’s main cavalry tank. Prior to this, the BT-7s were used during 1938 to confront the Imperial Japanese Army at Lake Hasan. Due the amount of BT-7s in each Soviet light tank brigade, and the lack of maintenance when moving between confrontations, the rate of attrition of the BT-7s was particularly high. In the first year on the Eastern Front, more than 2,000 BT-7s were lost, either from enemy fire or from a lack of maintenance. Despite significant losses during the war, the BT-7s continued on as one of the Soviet Union’s most successful armored tanks of World War 2. This success can be attributed to the sheer speed, mobility, and the saturation of the BT-7 among each tank battalion. 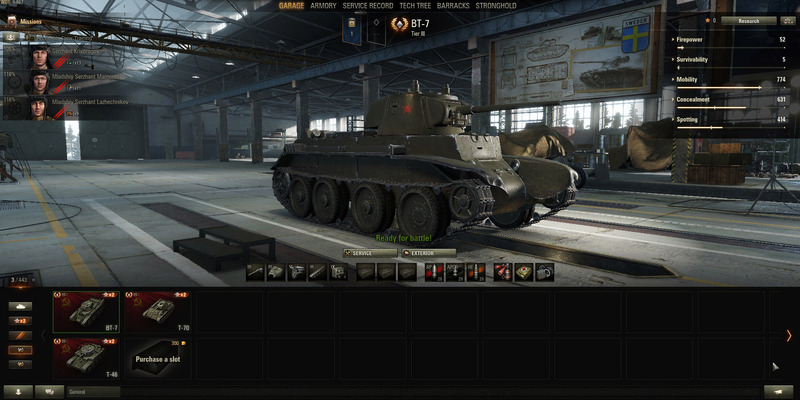 As far as its existence in World of Tanks goes, the BT-7 adheres closely to the specifications of its real-world equivalent, and as such, players should learn how to play the BT-7 in order to ensure success, even with its low armor values. 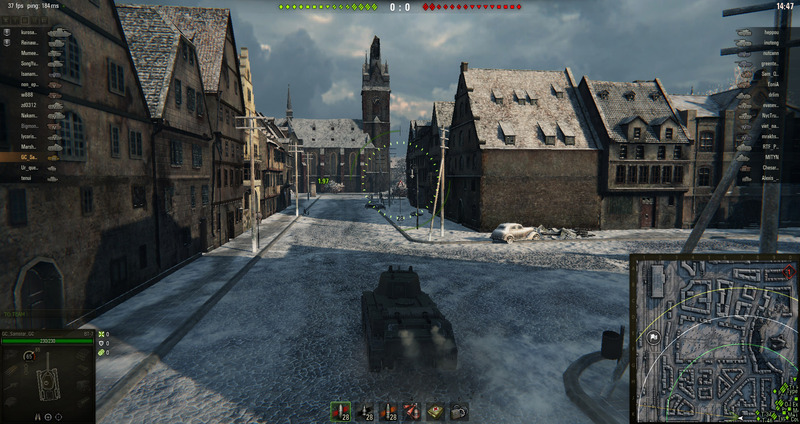 While the BT-7 is no longer in use today, players can still experience the speed and power of the BT-7 as a Tier 3 light tank in World of Tanks. Thank you to Tanks-Encyclopedia for historical information regarding this tank.